Here's something to break up the monotony of your work day. Your daily trip to the vending machines is about to get a little more exciting. The National Automatic Merchandising Association will debut its “digi-touch” vending machines on Capitol Hill this week. For those of you who work there, The Hill is reporting that those machines will be set up in the Cannon Caucus Room this Wednesday from 9 a.m. until noon. The digi-touch vending machine looks and acts just like an iTouch or the new iPad. The items inside the machine appear on the giant digital screen. You can select one with a simple touch. Then the nutritional value will come up for you to read before making a purchase. These new vending machines aren’t just cool looking. They’re also environmentally friendly. The digi-touch machines use both LED lighting and energy efficient insulation. 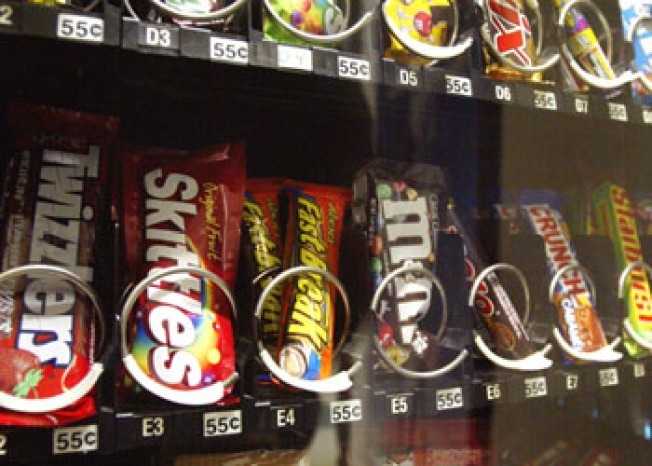 Unfortunately, the vending machines on Capitol Hill won’t be there to stay. For now, they’re just being tested. However, they could show up in the future. Want a sneak peek? Watch some of their demos on YouTube.